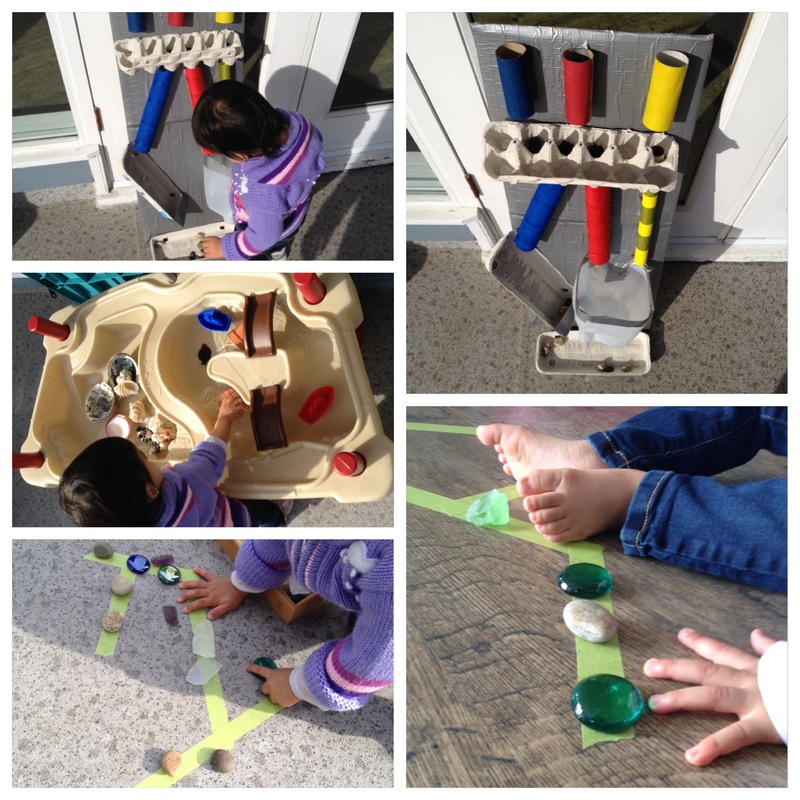 I made a maze with recycled materials and painted the entry tubes yellow, red and blue so that I could incorporate our colour study from last week and direct R to put rocks in specific tubes. She loved this activity and I got to see R’s growth in motor skills development and her ability to follow simple directions. Next, since the weather was so gorgeous, I put water in R’s water table and let her have at it! I reinforced yesterday’s concept of “up” and “down” in terms of what floats and what sinks. And then just let her play without my interference. The last activity we tried was lining up rocks along taped lines. Unfortunately after having to pull R away from the water tub, she was not too keen to try this. We’ll try this again some other time, but I can definitely see some great extension activities like doing patterns, counting and sorting!